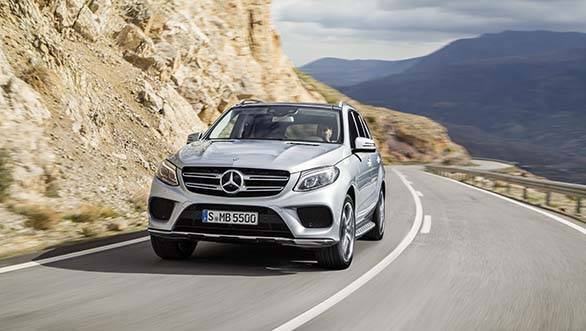 Mercedes-Benz will launch the GLE SUV in India on October 14, 2015 and as a part of Mercedes' new nomenclature change, this SUV will replace the M-Class. 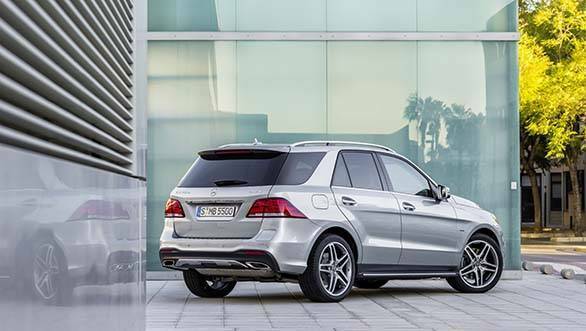 It is essentially a facelifted M-Class, bearing similar dimensions and design cues. The front end of the car has been reworked to resemble Mercedes' current line-up, while the rear gets new LED lamps. The interior too is similar to the M-Class, save for a few updates such as a new steering wheel and centre console, a high-resolution screen and different interior trims. Although the Mercedes-Benz GLE is offered with petrol, diesel and hybrid options in other markets, expect just the two diesel variants to make it here. The 204PS 2.1-litre 250 d and the 258PS 3.0-litre 350 d engines will replace the current ML 250 CDI and ML 350 CDI. They are essentially the same engines with updates such as a start/stop function and an optimised turbocharger for better efficiency. The 350 d engine even gets a different ECU and a new oil pump to make it more frugal. The most significant mechanical change is the shift to a new 9-speed automatic transmission, from the previous 7-speed unit. When we drove the GLE, we found that this transmission offers smoother gear shifts and better power delivery when compared to the current model (Read our full review here). The Mercedes-Benz GLE will be assembled at the company's Chakan plant in Pune and will take on competition from the BMW X5, Land Rover Discovery Sport, Volvo XC90, and the Audi Q7. The Mercedes-Benz GLE Coupe, which was unveiled last year, may not make it to India anytime soon.